This chapter is concerned with the energy management of a hybrid micro-grid composed of photovoltaic/ wind/ battery bank and diesel generator, which is used to supply domestic loads. Hence, a control strategy is proposed to manage the power flow between the power sources and the loads, which ensures the maximization of the renewable sources use, and therefore the minimization of the battery bank and diesel generator use. The control strategy allows the installation operating cost to be minimized and the safe operating for the battery bank to be guaranteed. The strategy is tested using measured data of some climatic parameters of the target area, showing its efficiency in fulfilling the fixed objectives. Electrical energy is a vital input for the social and economic developments, for which the demand has significantly increased (Lund et al., 2015; Santamouris et al., 2015). However, due to the instability in the fossil fuel prices and the increase in the greenhouse gas emissions, renewable energy sources are best placed to solve these issues (Jacobson et al., 2015; Mathiesen et al., 2015). Since renewable energies depend on the climatic parameters, characterized by their intermittence, it is necessary then to optimize and to use smart strategies (Østergaard et al., 2016; Narimani et al., 2015), which can be applied in micro-grids, including smart grids (Mathiesen et al., 2015; Pouresmaeil et al., 2015). Fortunately, the continuous advances in computer hardware and software are allowing researchers to deal with smart grids systems. This is performed by applying optimization and energy management strategies to the renewable and sustainable energy field, in such a way to ensure the optimum use of the generated energy, to provide the energy needed to the loads, and to guarantee a safe and secure operation for the whole smart grids system (Oró et al., 2015; Sonnenschein et al., 2015). Establishing an energy management strategy for smart grids systems is essential, since it allows the system autonomy and the continuity in the power supply to be ensured, thanks to the use of operational planning network through two-way power flow and communication (Farhadi et al., 2015; Zhao et al., 2015). Moreover, these strategies allow looking out the system security, by detecting defaults when occur, predicting energy generation and consumption from the one hand, and fulfill the energy demands whenever and wherever are needed from the other one (Aman et al., 2015; Sabo et al., 2016). Hence, in this research chapter, a strategy for the optimum energy control of a hybrid system composed of photovoltaic (PV) panels, a wind turbine, a lead- acid batteries bank, a diesel generator which supply a variable domestic load, is proposed and discussed in depth (Figure 1). The proposed Energy Management strategy (EMS) is based on several considerations related with the electricity generation, maintenance, components replacements and fuel price costs. Therefore, a cost function is introduced and minimized in order to optimize the involvement degrees of each power source, by comparing, at each sample time, the power sources combinations costs while supplying the domestic loads. The electricity generation cost includes the components operation, maintenance, fuel and replacement costs of the system parts studied during 20 years. The proposed strategy aims to guarantee the system operation continuity; in such a way the load is always supplied. Secondly, it ensures the system safe operation, since it respects constraints that allow extending the components lifetime. Furthermore, the EMS aims to minimize the use of the diesel generator to emergency and strictly required cases and maximize the use of the renewable energy for the domestic load power supply. Nevertheless, these components can be used in case of defaults in some components, or in case of non-availability of the renewable energies. Therefore, the battery bank and/ or the diesel generator takes part in generating the power needed to supply the domestic loads. 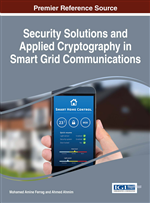 Consequently, the proposed energy strategy allows guaranteeing the smart grid security operation and to supply an energy flow with the network settings including a protection system. The proposed EMS is tested using measured data of climatic parameters of the target area (Medjez El Beb: Northern Tunisia, latitude: 36.39°, longitude: 9.6°), showing the efficiency of the proposed optimization method in minimizing the electricity generation cost, from the one hand, ensuring a safe operation for the system components, and providing the loads with the needed energy, from the other one.